An experienced Birmingham trial lawyer, Matthew T. Jackson is available 24/7 to discuss your DUI or criminal case free of charge at 205-358-8623. Defending Felonies, Misdemeanors, DUI's, serious traffic offenses, or vehicular homicide charges in Alabama is a serious business. 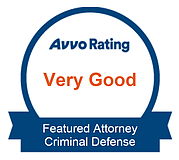 It is important that you have absolute confidence that your lawyer can and will provide the best defense possible. Whether you were out in Birmingham with friends, at a party, or celebrating holidays with loved ones, being arrested for a Birmingham DUI can be a stressful experience, especially if you have been summoned to appear in court the very next business day! You probably have many questions about penalties for a DUI, whether you should talk to the police, the court process, and possible defenses you may have in your case. You may also have concerns about your driver’s license and ability to drive. 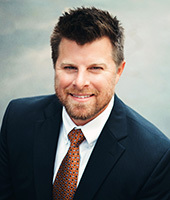 Contact Attorney Matthew T. Jackson today for a free consultation. My focus is simple – to help you win your case and get your life back on track! Drunk driving and DUIs are not the only criminal charges that can cause anxiety. Being accused of committing any crime can be equally jarring. Whether you have been accused of, or formally charged with a crime, you need sound legal advice. You likely have a million questions running through your head and you need answers. Don’t hesitate to call. Attorney Matthew T. Jackson is available 24/7 when you need the knowledge and expertise of a skilled Birmingham criminal defense attorney. Attorney Matthew T. Jackson will vigorously defend you against criminal and DUI charges in Birmingham and throughout Alabama. He understands the anxiety you are experiencing and will put your mind at ease as he explains how he will successfully defend you against criminal charges. Mr. Jackson will also explain the court process for where you case is pending and the investigative process you can anticipate. Criminal Lawyer Matthew T. Jackson is available anytime to discuss your case at no cost to you! He will also appear in court on your behalf if you have an initial court date the very next business day in any Birmingham area Court. Call 205-358-8623 today or fill out the online form now. IF YOU FEEL WE CAN HELP -TELL US ABOUT YOUR CASE AND WE CAN SCHEDULE A FREE CONSULTATION.